This is a short review for a short book. I read Pine Wave Energy in just a few hours as I found myself beginning to coast over lots of very familiar material, which is hardly surprising given the vast amount of reading I have done as part of my studies and personal development. Personally I finished the book having learned very little that was new to me, but not disappointingly so, this is still a really nice find. 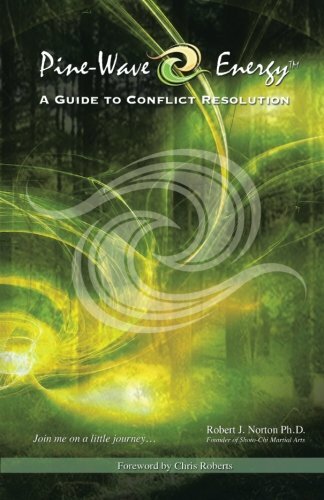 The great thing about this book is its accessibility, it really requires no prior knowledge of the field of conflict management, it does not go into great depths of subject specific bodies of knowledge either, it is a smooth read and sensibly organised. This is exactly the book I want o offer to my students who want an introduction to the topic, it is not a manual of how to do things, it is a guide to how things can be done. I covers most of the key points in a logically ordered format. I teach students Ju Jitsu, I also teach students self defence, in both cases I think they should understand the dynamics of conflict situations beyond their own personal experience, often this is all they have, that and a million messages from TV, film and other media. Sometimes they need to move beyond their own perception and popular myths and take a bit of a rain check. This is what Pine Wave energy offers, a quick, easily digestible collation of benchmark information that does not require a degree to understand or a couple of weeks of your life to get through. Most o my students are not professional conflict managers, they have businesses, jobs, families and whole lives of which their training is a part. Those in the trade may need and want more detail and depth but not everyone does, so read this book(let), find out if you agree if it is of use to your students and if so put it their way. Sometimes bite size s the right size. Availabe for purchase at the CRGI Bookstore.